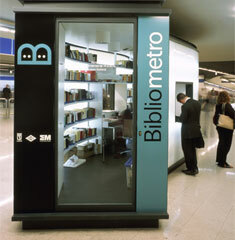 Paredes Pedrosa Arquitectos proyected Bibliometro, a public library stands in the metro stations of Madrid in which passengers may take books to lend and leave them back in any station. 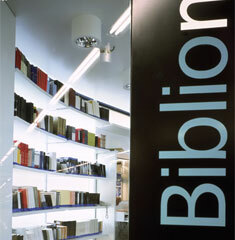 Bibliometro intends not only the traffic of culture across the subway of Madrid but also to make readable the journeys of millions of passengers every day. 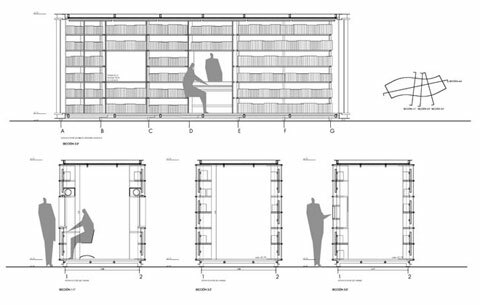 These small pavilions, 7,8 x 2,5 meters, are immerse in the circulation of passengers and its sinuous shape adapts to its flow. 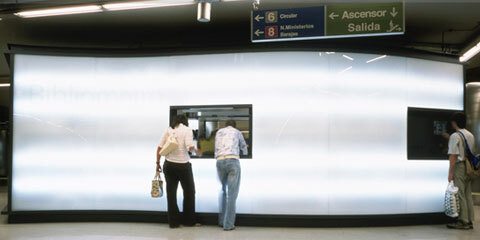 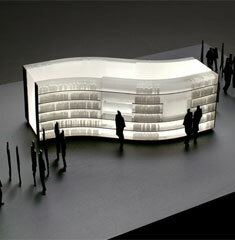 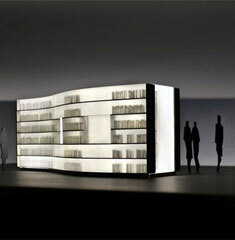 They are built with translucent illuminated glass that permit books to be seen from the subway. 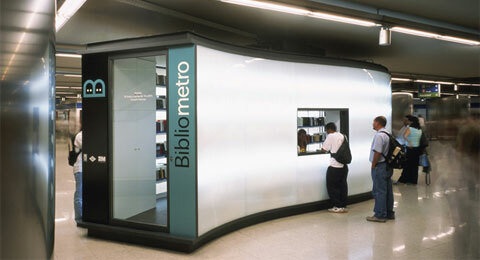 From the outside passengers may use the screen where the books are displayed, the counter where they are lent and also the box where books are dropped when they are read.